Hierloom Quality Teddy Bears and Gifts. 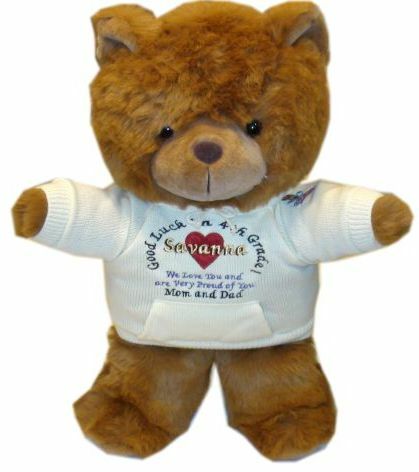 Hoodie Bears, Sweater Bears, Funky Friends and Top Teddies are one-of-a-kind gifts that are custom made, and personalized just for you. No two bears are the same, making them extra special! Our personalized gifts are ideal for any celebration and make the perfect gift on Mother’s Day, Valentine’s Day, Christmas, for Birthday’s, and just about any occasion. 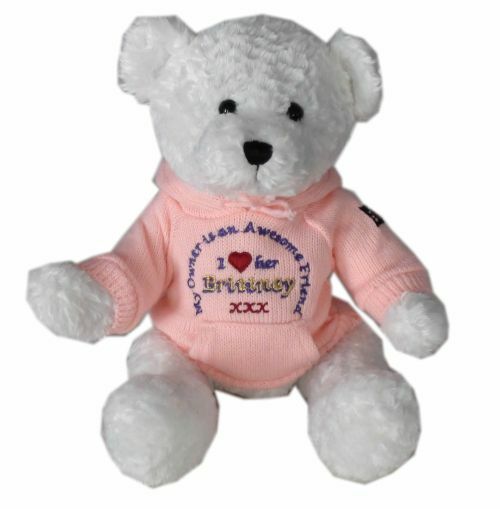 Your custom teddy bear is created with YOUR own personal message on the Teddies hoody or sweater making them a gift from the heart, not just something off the shelf. Every order includes a personalized greeting card, and friendship rings. Shipping is Free to the US, and just $6.99 to Canada. 100% Satisfaction Guarantee – You’ll love your personalized gift, or we’ll buy it back! Genuine “Flying Bear” 14 inch Teddy Bears (from head to paw) available in 9 colors. 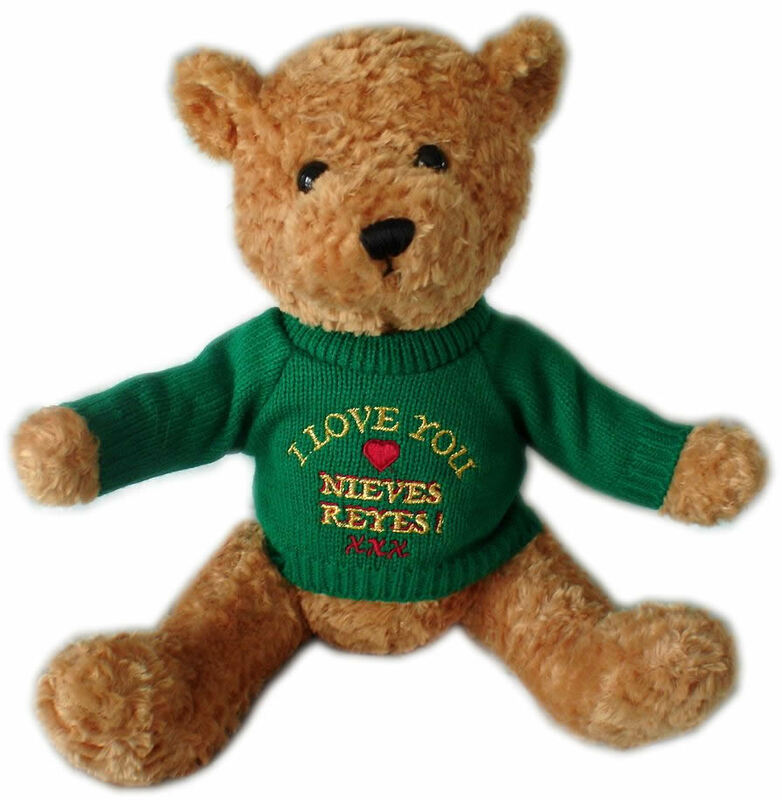 Your Personal Message Is Embroidered on the Teddy Bears Sweater. We Include a Cute Teddy Bear Greeting Card With Printed Message, Friendship Rings, and Fast US Delivery!